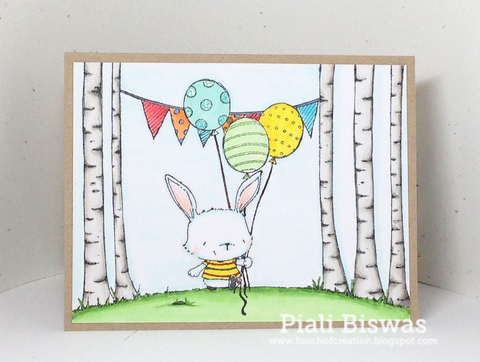 I've two lovely Purple Onion Designs cards to share with you all. I used POD-Wishing & A Beautiful Day! Sentiment Set. I did some no line watercoloring with Distress markers for this card. Love the soft water colored look !! 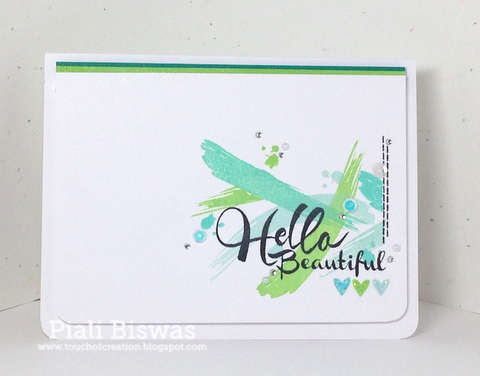 The bold stripe DP is from Heidi Swapp paper pad. I also added some rock candy distress glitter for a bit of sparkle. Next up is Birthday Wishes card. 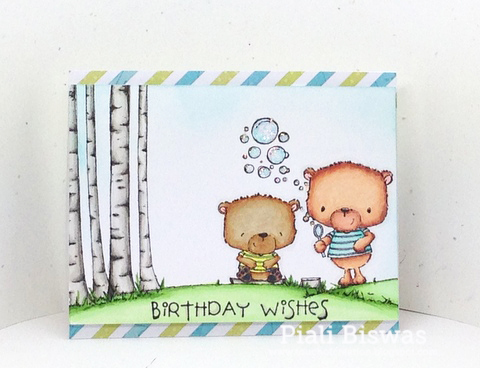 I used POD- Birch Trees, Jackson & Bubbles, Johnny and Birthday Wishes for this card. A cute little scene with Copic coloring and some stickles. These cute stamps are now available in POD Store now. Hop over to POD Blog for more inspiration!!! Purple Onion Designs New Release!!! 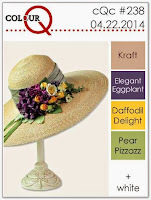 Today Purple Onion Designs is releasing A Beautiful Day! stamp collection. Its super cute stamp collection of 39 stamps...adorable images & beautiful sentiments. For my card I used 4 stamps from A Beautiful Day! collection. I did a lot of masking to create this adorable scene...love how it turned out!!! The cute bunny is Willa. Addicted to Stamps and More - Coloring. Creative Knockouts : Anything Goes. I've 6 more cards to share with you....so make sure to check back during the weekned . All the stamps are now available in POD store. Make sure to check the limited time Special Deals for these collection. Now hop over to POD Blog for more amazing DT samples. Its time for Papertrey Ink April Bloghop!!! I went with the applique technique ....did some hand stitching using the new PTI goodies. I reached out for my fave Wet Paint set for sentiment. For the applique butterfly I used PTI Seasonal Stitching Butterflies die set. The lovely DP is from Simple Stories. I also used PTI- Circle Scribbles set. 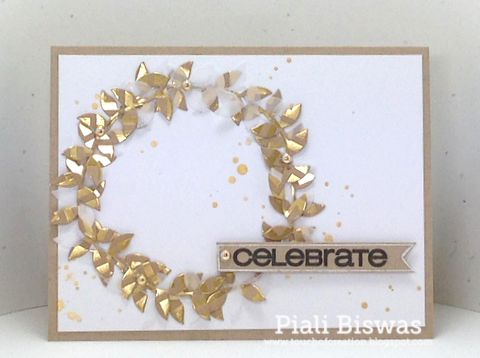 A little bit of watercoloring and some Heidi Swapp -Gold color shine splatters...a simple card!! Sisterhood of Crafters - Things with wings. Simon Says Stamp - CAS. ... for me summer garden means lovely butterflies. A new stamp collection from the talented Stacey Yacula will be available this Friday, April 25th at 4:00 p.m. est. The new collection called A Beautiful Day! consists of 40 stamps. Purple Onion Designs is having a giveaway of the entire A Beautiful Day! stamp collection . Hello And Happy Hump Day!!! Its me again playing with some of my new crafty goodies.... today I used the new Wplus9 - Spring Blooms set!! This set is absolutely amazing!!! I think Wplus9 makes the best multi-layered stamps, its super easy to stamp, no special skill needed. 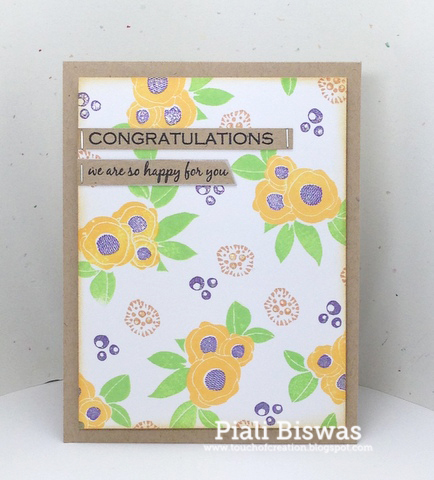 I created two cards for this week's ColourQ challenge....great color combo!! One of my crafty friend said "there is something missing in this card"...I kind of like it a lot, simple & clean. Let me know if you all the feel like something missing too ...you like it or don't ??? The sentiment is from Wplus9-Fanciful Feathers. Simon Says Stamp: Keep it Clean and Simple.. 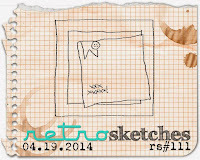 The sketch is from Iwona's Sketchbook Saturday Challenge. Added lot of Wink of Stella glitter to the flower centers and the little images. I'm back with the 2nd post of the day. As you all know by now Nina Yang have her own stamp line now...called Waffle Flower Stamps!! Her first release is Awesome!!! I got a stamp set and 2 dies... Bowtiful Stamp set, Bowtiful die set and Tiny Heart die. Love these products...they are amazing , and so is Waffle Flower's customer service!! I used all them for this card. The sketch is from Retro Sketches challenge. The beautiful DP is from Studio Calico- Wanderlust collection. I picked the Hero Arts inks that matched with the colors. Also added some sequins , rhinestones and May Arts ribbon. Fan-Tastic Tuesday - Anything Goes + square. I'll see tomorrow with 2 more cards for few more challenges. After a long time I spent my morning in craftroom. Played few of new goodies so there will be few post today. 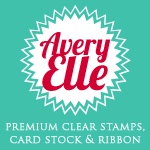 I got few new sets from recent Avery Elle release.... BRUSHED set is my most favorite one!!! I ♥ sentiment stamps and the hand written font in this set is amazing! I loooooooove this card...hope you all like it too! This color combo is amazing!! I combined few AE stamp sets for this card..." Beautiful" and the hearts are from AE-Love Notes set.and stitched line is from AE-To The Point set. Just added few sequins ,rhinestones , stickles and wink of stella glitter for girly sparkle..
Next one is masculine version of the color combo.. I used the big brush stroke stamp for the background. Sentiment is also from the AE-Brushed set. Kept it super simple with just a few enamel dots. AEI♥U challenge #5: Color Combo. Moxie Fab World:Hip on Handwriting Challenge. 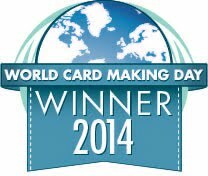 Thanks for stopping byI'll back later with one more card for a fab challenge. Hope you all had a lovely Easter weekend !!! I had a busy yet fun weekend! Spring break is over,kids are going back to school today. I have a few Casual Fridays Stamps card to share with you all. 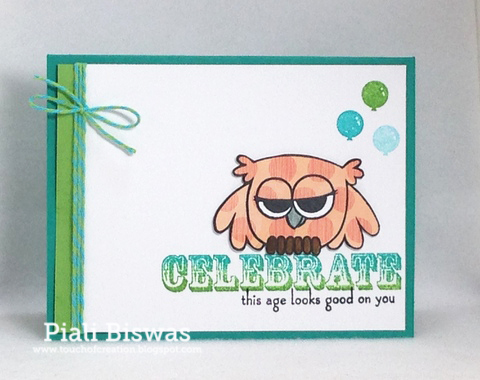 CFS has a great collection of sentiment stamps...I ♥ sentiment stamps so I used few fab sets to create this card. I used 4 CFS sets ..... Amazeballs, Rad, Exclamations and Wait For It. 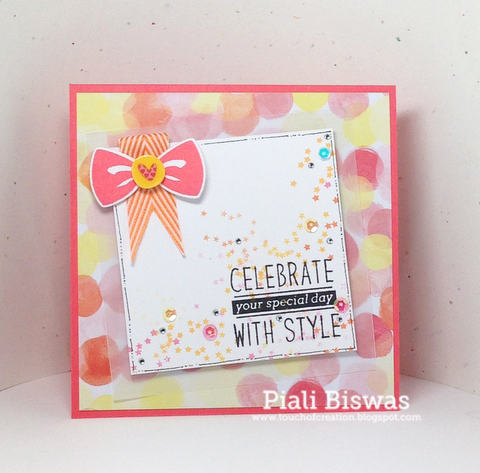 Just added a narrow strip of PP from Carta Bella -Its a Celebration collection and few splatters of gold mist. Dream Valley - Say it with words. 4 Crafty Chicks -sentiment only. Aud Sentiments Challenge - Sentiment for a friend. I used CFS-Tech Talk set . 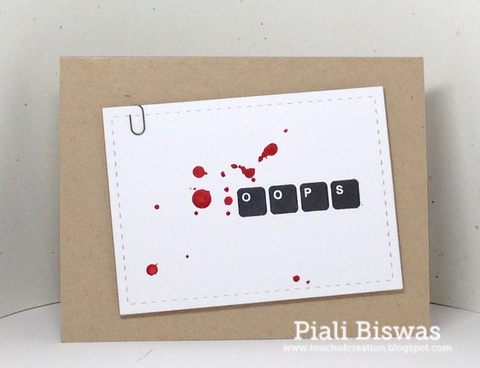 Just added few splatters of Studio Calico mist and paper clip. Pile It On - No DP. Check out CFS Blog for more inspirations!!! I love CAS card so I went with Clean & Layering style. Loooove this MFT Cover plate.....polka dots are my favorite . 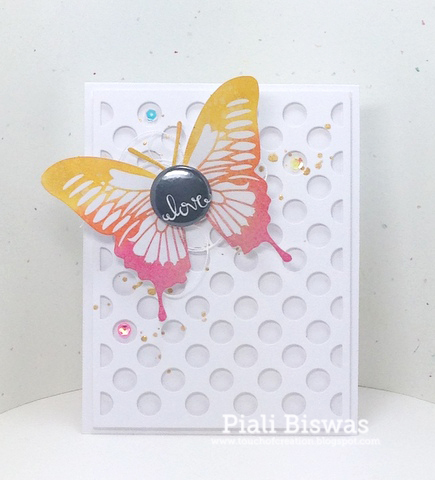 The gorgeous butterfly is from Heidi Swapp , I sponged 3 of my fave Distress ink on it. The flair button is from The Sweet Stamp Shop. Just added a bit of gold mist and few sequins....simple card! I love this card ...hope you all like it too!!!! One Crazy Stamper - Anything Goes. Today I have a card for Laura's Poppy Sketches challenge. A lovely sketch with fab color combo!!! 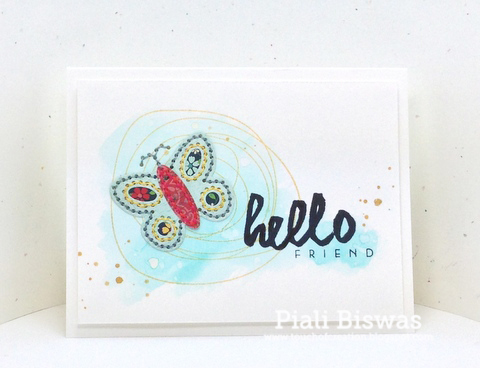 I used butterflies from Papertrey ink stamp set and the sentiment from Simon Says Stamps. Love the Mama Elephant- Landscape Trio dies...makes the perfect cloud borders. I also added punched butterflies...I used Martha Stewart punches for it. 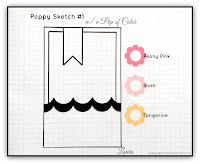 Poppy Sketches: Sketch + color. Paper Pretties Wednesday Challenge: Punches. Crafty Calendar - Things with wings. CFS April New Release Day#3!!! Today we're sharing the last peek of CASual Fridays Stamps April Release. 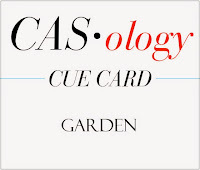 This die can be used just by itself and it also coordinates with CFS-Casual Elegance set. The vine is perfect for making a wreath. I used some SEI-Gold Chevron paper and vellum to diecut the vines, then adhered it in circular form to make this wreath. The sentiment is from CFS-Countdown set. The Crazy Challenge - Bling it up. 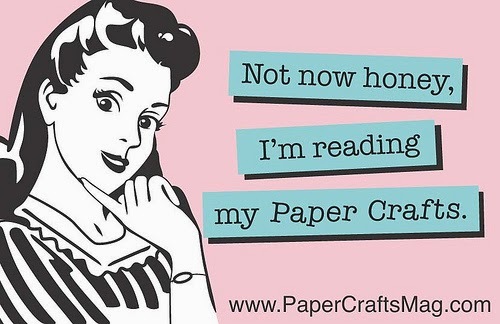 Through The Craft Room Door-Anything goes. Make sure to check out CFS Blog for stunning DT creations and all the release info. CFS April New Release Day#2!!! Welcome to Day#2 of Casual Fridays Stamps new release peeks!!! This die set coordinates with CFS-Lotsa Links set . As water coloring is super trendy nowadays...I used it for this card. These dies are super fun to create with...they great by themselves with the stamp set even. The sentiment is from CFS- Butterbows set. Craft Your Passion - No designer paper. Crafty Bloggers Network - Diecuts/embossing. Don't forget to check out CFS Blog for more fabulous DT inspirations!!!! I ♥ this stamp set from paper Smooches.... HOOTIES!! The sentiment is from PS-Happy Birthday set. Stamp the sentiment with two of my fave distress inks...Mowed Lawn and Peacock Feathers. I paper pieced the the owl, polka dotted owl..super cute isn't it??? I also used some balloons from the PS-Flirty Frames. Timeless Twine's Key Lime Sorbet baker's twine is a perfect match for the distress ink combo. 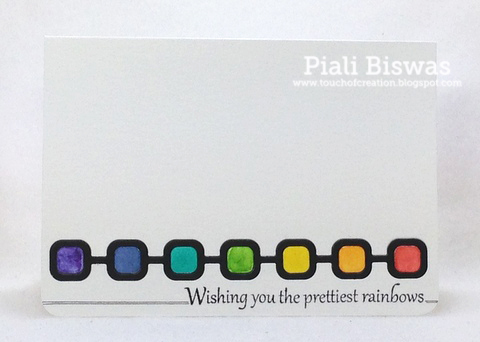 I love how is card turned out...what do you say???? Paper Smooches Sparks- Anything Goes. Simon Says Challenge: Happy Birthday. Shopping Our Stash : Paper Piecing. Thanks for stopping by...I'll be back tomorrow with another CFS peek. CFS April New Release Day#1!! 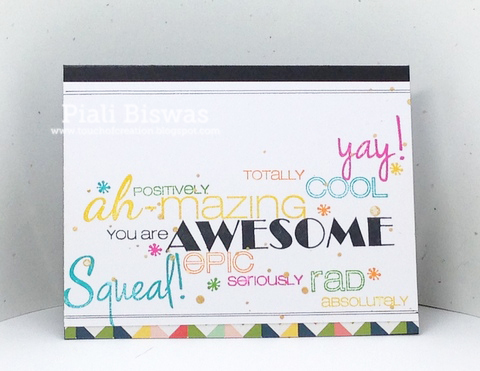 ...this month we've a fun release, no Stamps but # awesome dies sets!!! This die set are great by itself and it also coordinates with Beanstalks set. I have simple card with lots of patterned paper from Simple Stories. The sentiment is from CFS-Big Thanks set. The Paper Players - Three Spree. Stamping Sensations - Dies/ Punches. 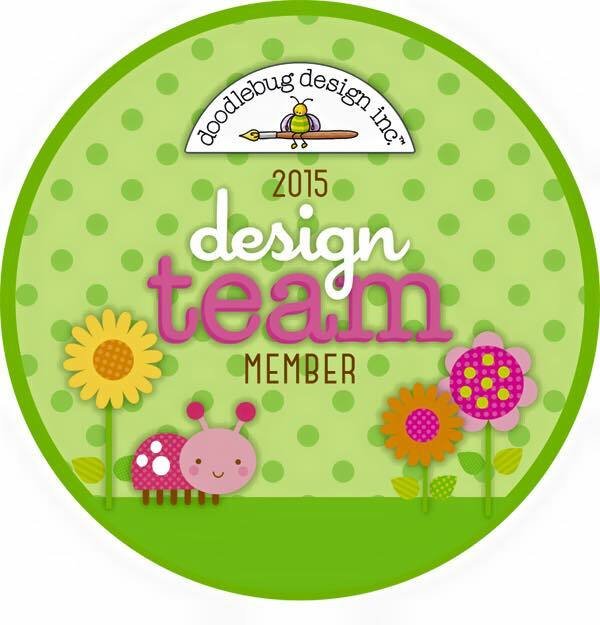 Hop over to CFS Blog to see amazing DT creations.